It’s started. The magic of Christmas is well and truly on its way. The cards and gifts are already in the shops. The Christmas ads are appearing on the television and it can only be a matter of days before the stores dust off their Christmas CDs and once again Slade and ELO are giving it their best! 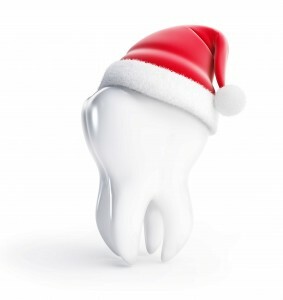 That means it’s almost time for the party season to begin when everyone wants to look their best and for many people that means having their teeth whitened to produce an attractive gleaming smile. The first thing we should remind you is that professional teeth whitening by a qualified dentist or dental professional is the only legal way to obtain the sparkling teeth whitening results you’re looking for. Services provided by beauty salons and such are illegal because they have not received adequate training, they are not legally qualified and they do not have the required medical knowledge. So if anything goes wrong you will not be covered. Similarly if you buy teeth whitening treatments over the counter these are probably not going to be effective because the law severely restricts the levels of teeth whitening ingredients they can contain. Worse still, if you buy online then you don’t know what you’re getting and many online teeth whitening products have been found to be frighteningly dangerous. As one of Manchester’s leading dental practices our range of professional teeth whitening treatments are all fully medically approved and they are scientifically formulated to deliver the most outstanding results. That means if you contact us soon we will be able to see you in our clinic, discuss the different professional teeth whitening options we can offer and we will be able to advise you on the best course of treatment to suit your teeth and the results you are looking for. It also means you can be confident that your teeth whitening treatment will have been completed and you will have that gleaming white smile you dreamed of well in time for the party season. If you take a look at our Cosmetic Dentistry page and then click on Teeth Whitening Manchester you will see that we have included lots of information about why some people’s teeth are naturally whiter than others along with information on the different professional teeth whitening treatments we can offer. Enlighten teeth whitening. The newest and most successful system on the market that includes bleaching sessions both at home and in our clinic. Enlighten guarantees a positive outcome with the whitest, most consistent and long lasting results. ZOOM! teeth whitening. At Carisbrook Dental we can offer the ZOOM! treatment, which is an advanced bleach and laser procedure that whitens and polishes your teeth in one hour and achieves up to eight shades lighter than the original colour. Home whitening. Under the supervision of highly qualified dental professionals you are provided with a bespoke whitening tray that is custom made just for you, together with the correct treatment gels to use in the comfort of your own home. But don’t leave it too long before you contact us to discuss professional teeth whitening because the longer you leave it the less chance you will have of making your dream come true in time for the first of the parties. 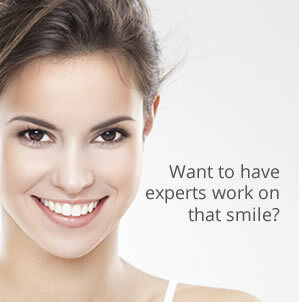 If you make an appointment now we have a number of special offers available including £150 OFF HOME TEETH WHITENING! For further information please call us on 0161 951 7295 or you can use the online form on our New Patients page.